SINGLE – £34 provides cover for a single person only. CHILD – £13 provides cover for one child up until the end of full-time education. FAMILY – £81 provides cover for a couple or single parent with children until they leave full time education. COUPLE – £68 provides cover for a couple both under 65 years old. SENIOR CITIZEN – £29 provides cover for a person who is 65 years or over. SENIOR CITIZEN COUPLE – £58 provides cover for two people both over 65. SENIOR COUPLE (1 Senior Citizen, 1 under 65) – £63 provides cover for two people one under 65 and one 65 or over. What is the St John Supporters Subscription Scheme? 10 transfers by non-emergency ambulance under the direct instructions of a Health Care Professional where you are unfit to travel by any other means for treatment or medical appointment. How does the Supporters Scheme work? To become a St John Supporter, you pay a 2019 membership fee – either as an individual, couple or a family. The usual charge for an emergency ambulance response is over 10 times more than the annual cost of being a St John Supporter, so our scheme offers you great value for money. 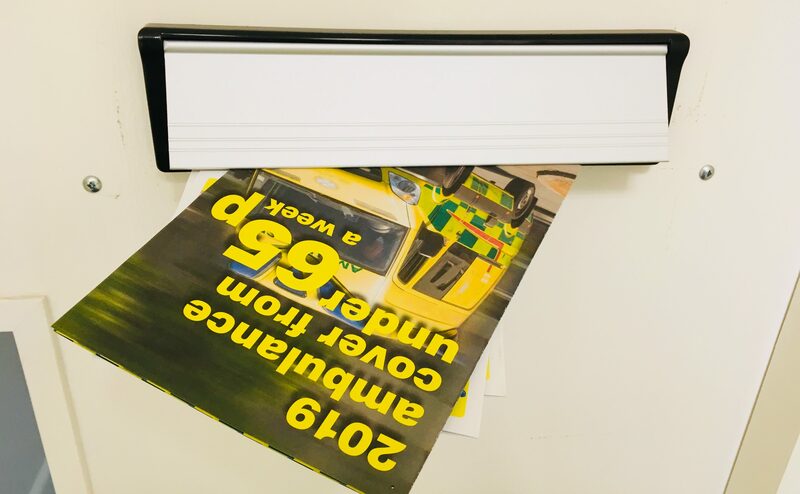 There is no limit to the number of emergency ambulance responses you may have, and no age limit to become a St John Supporter, however there are restrictions to the number of non-emergency patient transfers covered under your membership. This membership will cover you for 10 non-emergency patient transfers. (This does not apply to transfers in respect of renal dialysis treatment). Should you require more than 10 transfers within your membership period, a top-up subscription can be purchased. Please note that whilst we respond to 999 calls made by the public, we only take non-emergency ambulance transfers when they are authorised by a Healthcare Professional. What if I don’t join? Islanders who are not members of the Supporters Scheme will be charged for an emergency ambulance. An ambulance responding to an emergency call can incur a charge of up to £360. Other charges for paramedic treatment may also apply. You may be covered by private medical insurance, if you are, please check with your insurer the level of cover for ambulance services, to ensure it is enough to meet our charges. Membership is valid until 31/12/19. You can join at any time. Should you have any queries please contact us on 01481 723866 during office hours. Why do I need to pay for an ambulance? The charges arise because unlike the other island emergency services, we are not fully funded by the States of Guernsey. The funding we receive from the States of Guernsey only covers 70% of the ambulance service costs. We raise the additional income through this Supporters Scheme, public donations, bequests and charges for the service. You can also contact us on 01481 723866 for a membership form.